The cloth diaper community has always stated that PUL (polyurethane laminate) cloth diapers are more breathable than their disposable counterpart. I have always believed this to be true and the evidence in babies (less rashes) has supported this claim. Still, it would be nice to have a real study to support this fact. I don’t know of one but I did see a pretty convincing experiment conducted by the WAHM and mom behind Oeko Popo diapers. This experiment uses boiling water and steam to show PUL is more breathable than the plastic lining in disposable diapers. The more water droplets on the inside of the glass that was placed over the diaper means the more breathable the material. You can guess which diaper won! What a fabulous experiment courtesy of Oeko Popo diapers. I am currently reviewing their Batumee diaper so keep an eye out! 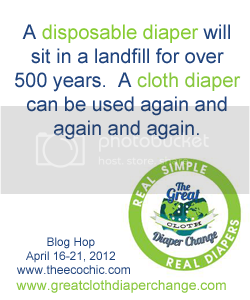 Could a Disposable Diaper Company Also Sell Cloth Diapers, and Should They?! Previous article#GivingHOPE Facebook Giveaway Winner List and Results!